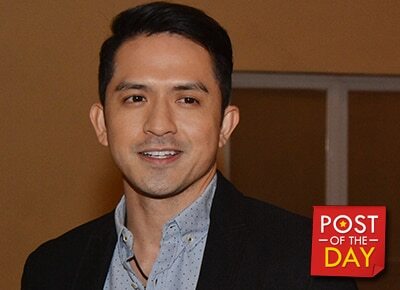 After denying rumors that he and Jennylyn Mercado have broken up again, Dennis Trillo took to his Instagram to prove all is A-okay between him and the actress. The couple is currently enjoying a European trip and Dennis uploaded his and Jenn’s selfie where she was kissing him on the cheek in Amsterdam. The two were previously an item but broke up in 2011. However, Jennylyn admitted they are dating again early this year.